The Rocky Mountain Quilt Festival was this weekend in Loveland. Friend Mary and I took a road trip up on Friday and enjoyed some serious stash enhancement! First up, not from the Quilt Festival, but added this week: Denyse Schmidt's newest collection, Hadley. I have an enormous DS stash, but this was clearly a case of, "If I don't buy it now, it might sell out." I got mine from the etsy shop "Vintage Modern." 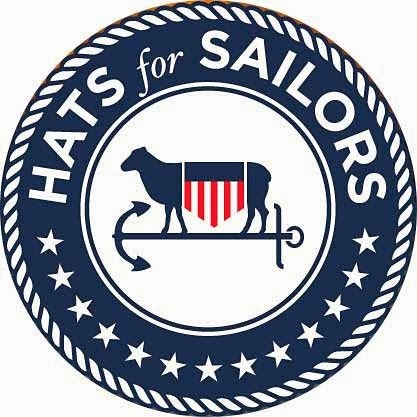 And since I also ordered Denyse's new pattern, "In This Corner"
I had also to order her Free Spirit Modern Solids collection (on sale at Fat Quarter Shop). That will serve as my birthday prezzie -- two months off, so remind me! I'm down to the very last block on my biggie-sized "Ryokan" quilt. 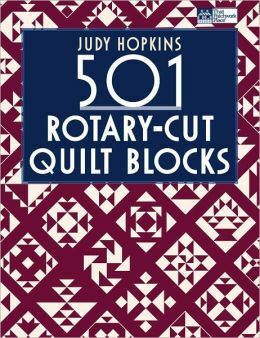 I chose "One More Block" from Judy Hopkin's "501 Rotary Cut Quilt Blocks" book. Judy suggested using a different color for each quadrant of the block. 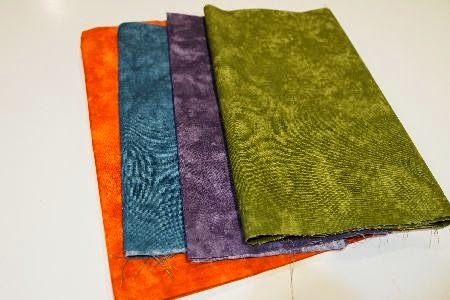 Somehow I got the notion that one quadrant should be dark purple and olive green. 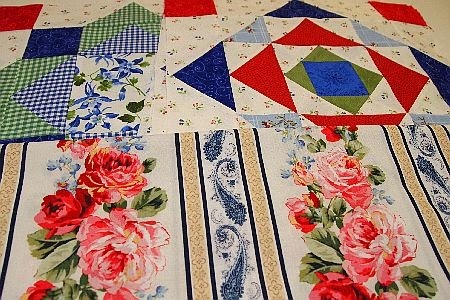 I used Moda Marbles for all the "quilt blocks" in the quilt. Who knew Moda Marbles must be out of fashion -- I had a terrible time finding olive green! Finally scored it at Sew-Ciety in Castle Rock. 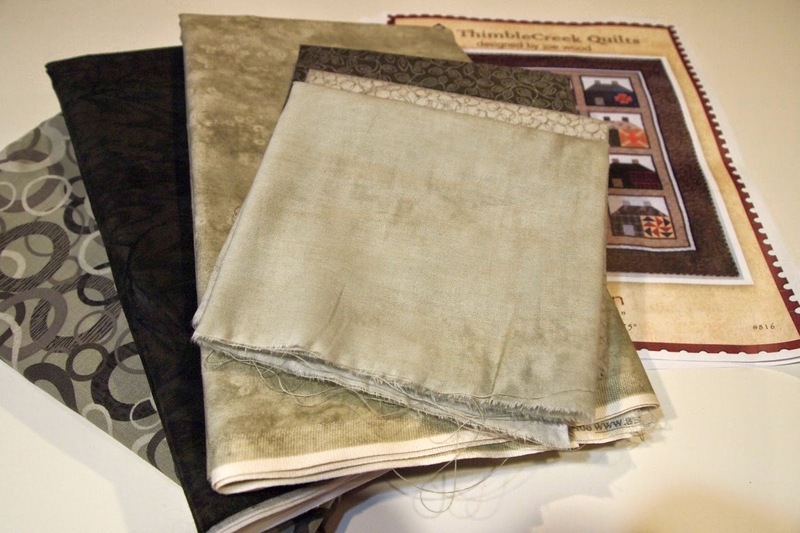 Holly's Quilt Cabin had just the right Japanese taupes for the frames, borders and bindings. The print on the far left is my outside border. It's really more grey-green than in this photo, but I wanted to show off the lovely tone-on-tone print I found for the narrow dark border. At the Festival, The Fig Leaf from Ft. Collins had the newest issue of Modern Quilts Illustrated. 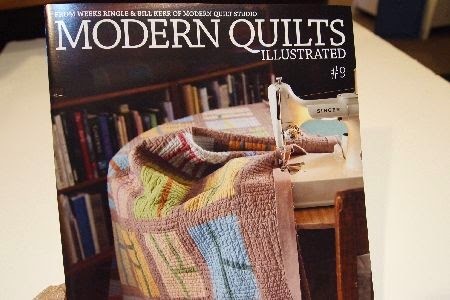 Bill Kerr talked about this issue at Quilt Colorado, so I am happy to have it in my hands at last. 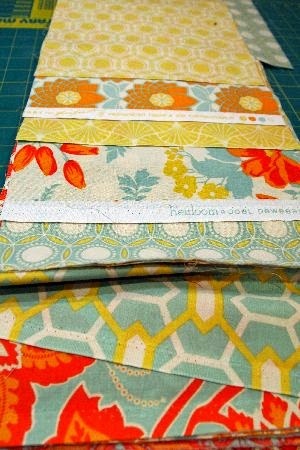 I was pleased to find this Faye Burgos print for Marcus Fabrics at High Prairie Quilts. 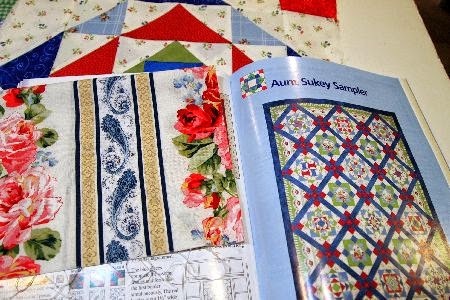 It's just what I need for the setting triangles for my "Aunt Sukey Sampler" from Marti Michell's "Five is Fabulous." Oh look, another candidate for the 2015 Jelly Roll parties. 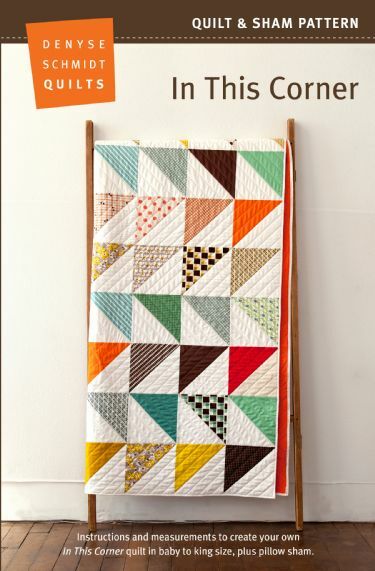 There is an etsy shop, Quilt Lakeside, listed on the pattern. Sadly, the shop appears to be "out of business." I bought this pattern at High Prairie Quilts, and it was the last one! Don't know if they will be able to get more. The son of a close friend is getting married at the end of the month. 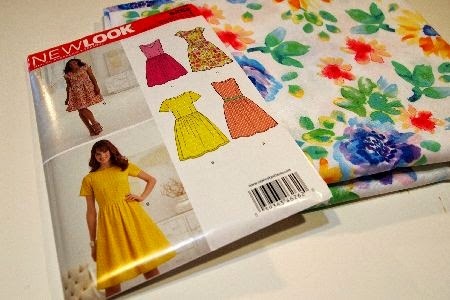 Laura of Lilacs & Lace inspired me to get back into fashion sewing, so I chose this dress. 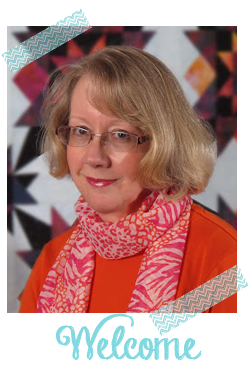 The lovely floral print is "Petal Poetry" by Exclusively Quilters from Ruth's Stitchery. 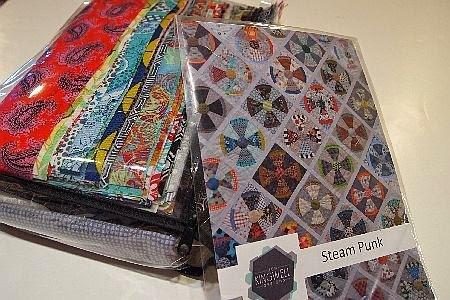 Finally, my one big purchase at the Quilt Festival is this "Stem Punk" quilt kit from Material Girl quilts shop in Grand Island, Nebraska. Ever since my BFF moved from Ohio to Texas, I haven't been back to the shop. So I was delighted that they were one of the vendors at the Festival. This quilt is designated for a graduation gift for the very last 4-H'er I taught to knit. If you've lasted through this looooonnnnggg, photo-heavy post, you deserve some De-Stash! How about some Joel Dewberry? There is a bit more than one pound in this batch. Along with the "Heirloom" from Joel Dewberry, there is a bit of Deb Strain and some other prints that coordinate. The pieces are a minimum of 10" but most are larger. If this De-Stash appeals to you, it can be yours for the cost of postage. One pound will fit easily into a flat-rate envelop for $5.75US. Of course, international offers are welcome, but the postage will be more. The first person to reply with a PayPal email address and zip code will have it! 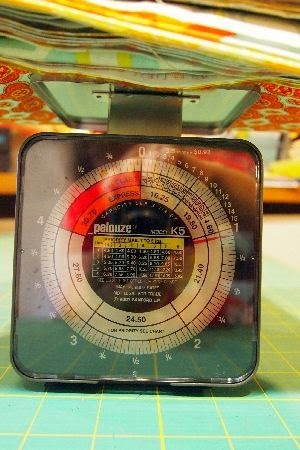 I'm test-sewing this week, so posts will be thin on the ground. I do have some knitting to share on Thursdays are for Knitting, so come back to see! De-Stash has been claimed, closing comments to save hurt feelings! I'm so excited I was the first comment. This is my birthday present to me (yesterday). I can't believe you are destashing this fabulous fabric! Thanks! Happy Birthday, Nancy! PayPal invoice on its way. 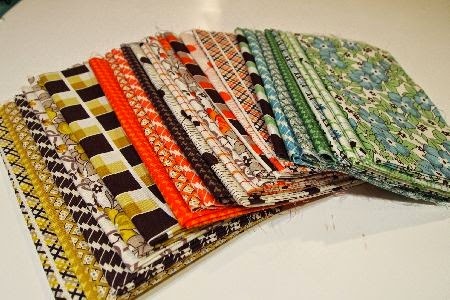 I see you are adding more to your stash than you are de-stashing!...love the borders for the Ryokan quilt. 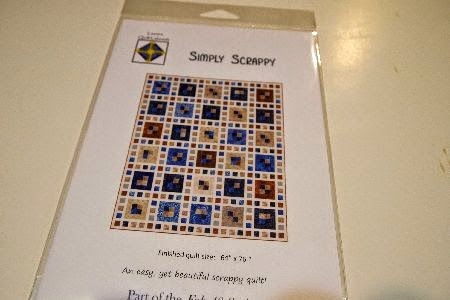 I love that Simply Scrappy pattern! What a fun one that would be to make. 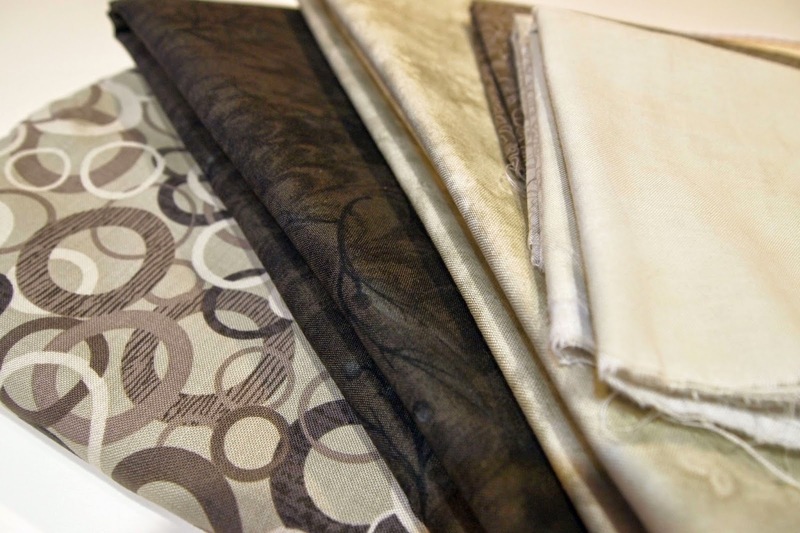 Your fashion fabric should make up nicely too. I can't wait to see the finish. 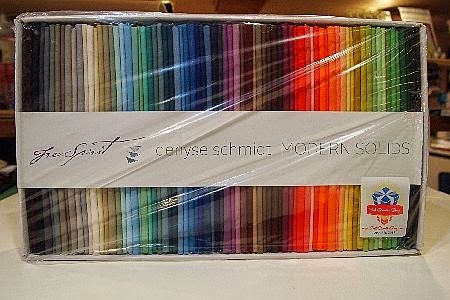 OMG Im loving the Denyse Schmidt's collection the colours look wonderful, and the quilt pattern fab fab.